Our topic this month has been transport. 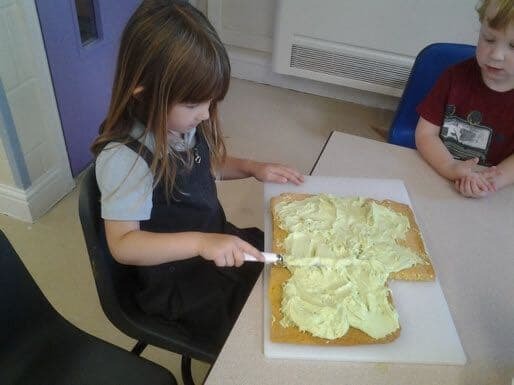 The children have been exploring all the different types of vehicles and ways of travelling so today we baked a tractor cake! 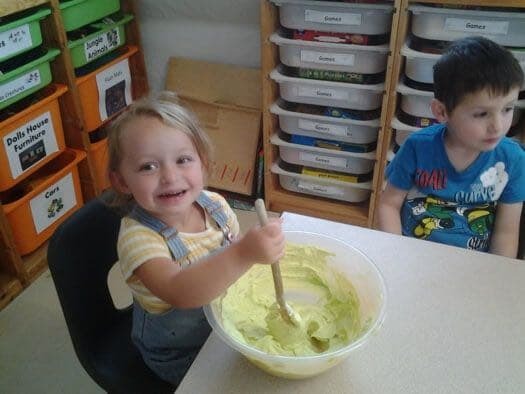 The children weighed and measured the ingredients and helped by stirring and mixing them all together. This encouraged their maths understanding as well as their physical development. 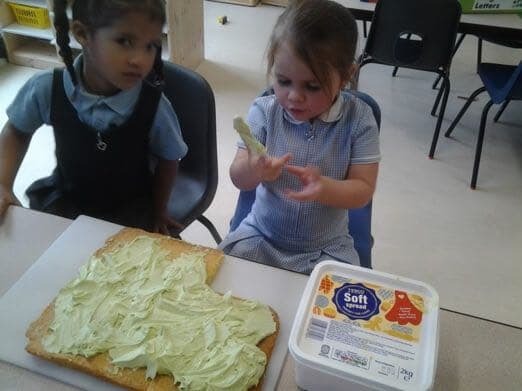 When the sponge had baked we had great fun making green icing to cover the cake with and then decorated it with wagon wheel biscuits to make the wheels and sweets to make the windows and doors. The best bit by far was the eating it though and we all got to take some home to share with our families.